Snow Ball Earrings. 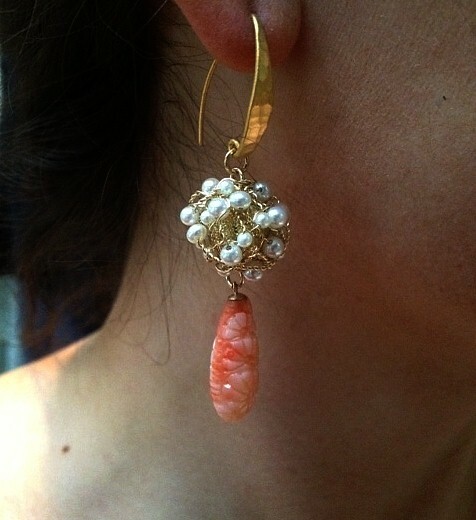 Freshwater Pearls and Carved Coral Drops. I am forever trying something new. I have sand blasted vermeil balls. The have a nice glittery appearance. Using these balls as a background, I wove different size fresh water pearls onto them. I was lucky to find these 20 year old carved coral beads. I used this for the drops. We are about to have a blizzard in New York. I thought snowball would be a good name for them.